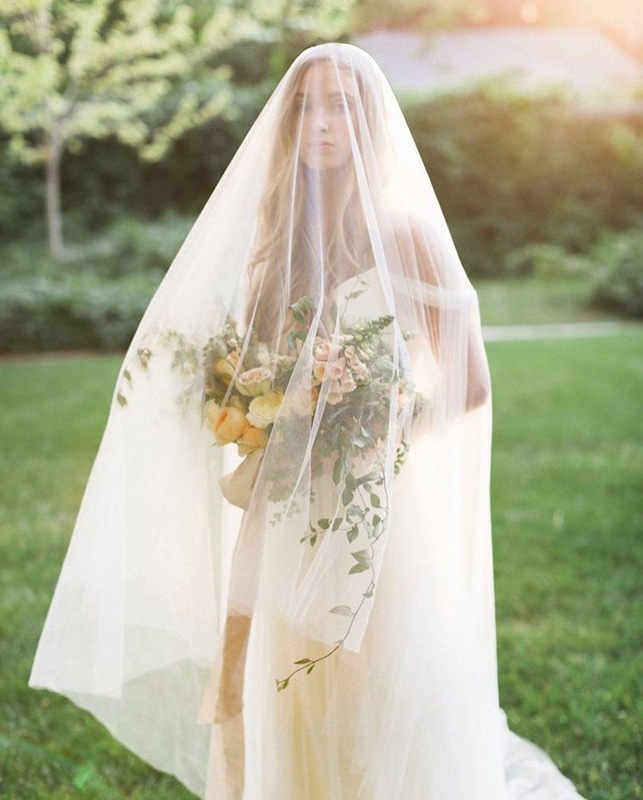 It doesn’t feel real until you add the veil. 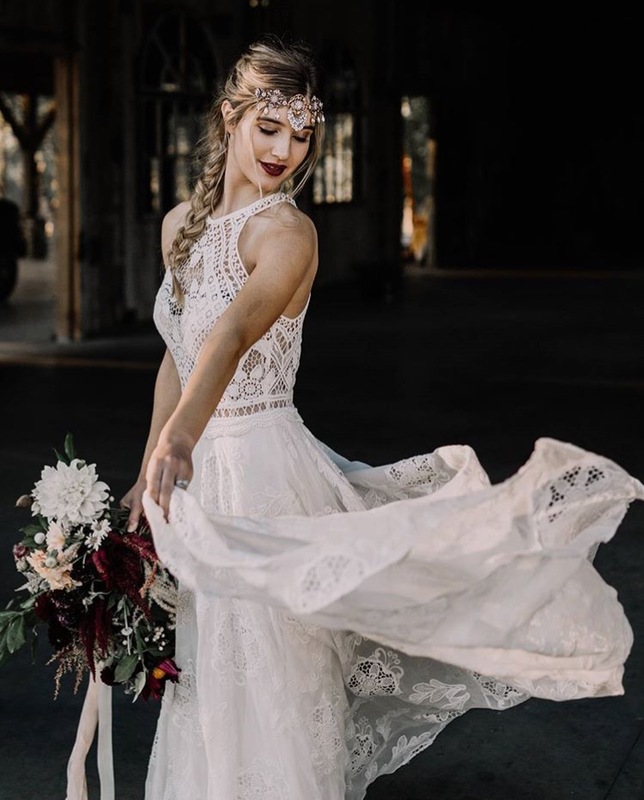 Wedding veils and head pieces have always been a traditional wedding trademark that we all know and love but it is beyond difficult to find the perfect one. 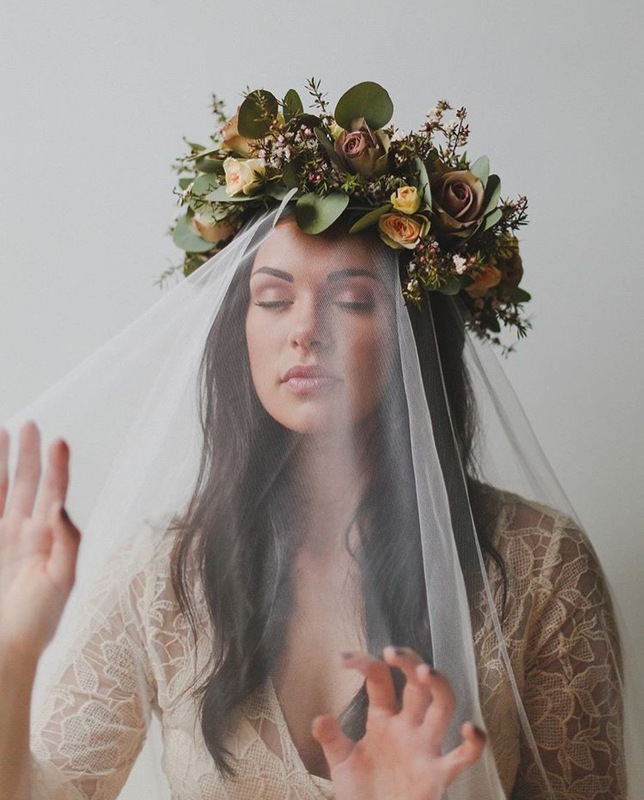 Danani Handmade has changed the wedding veil game. 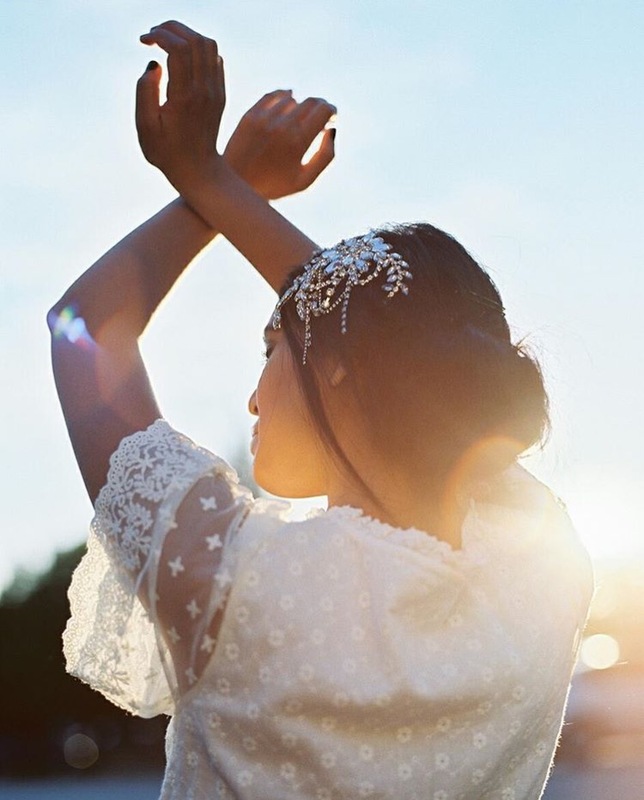 Her pieces are vintage-inspired, unique and out-of-this world beautiful! 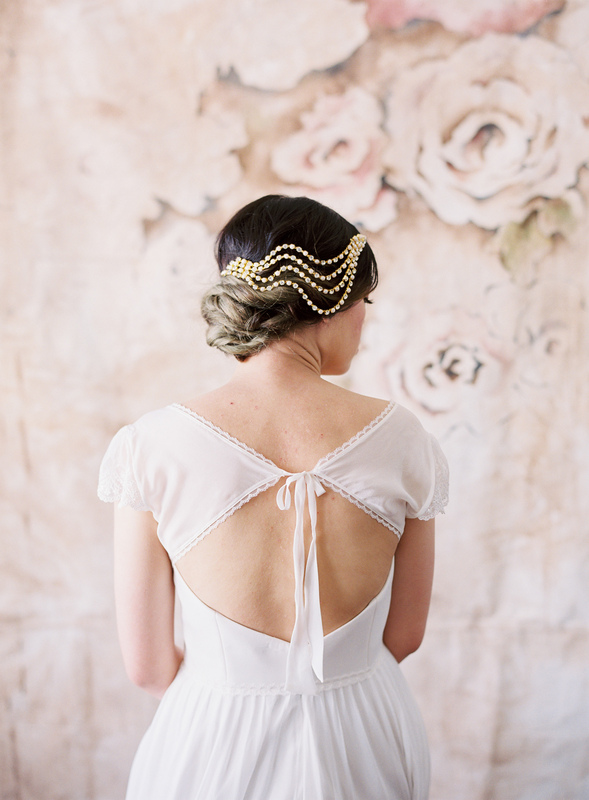 Meet Dani Hagemeister – Owner/designer of Danani Handmade. 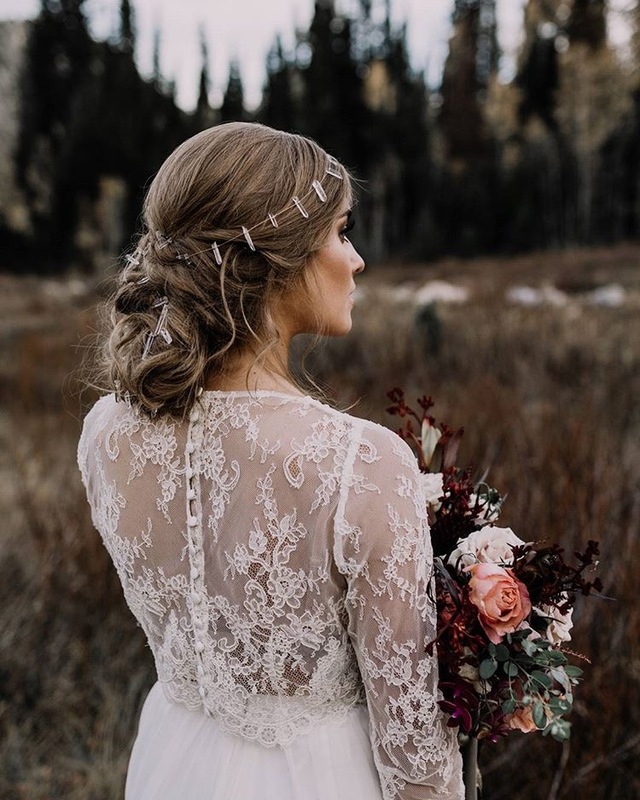 She creates beautifully crafted bridal veils, headpieces, and hair jewelry and has an eye for all things creative and eye-catching. 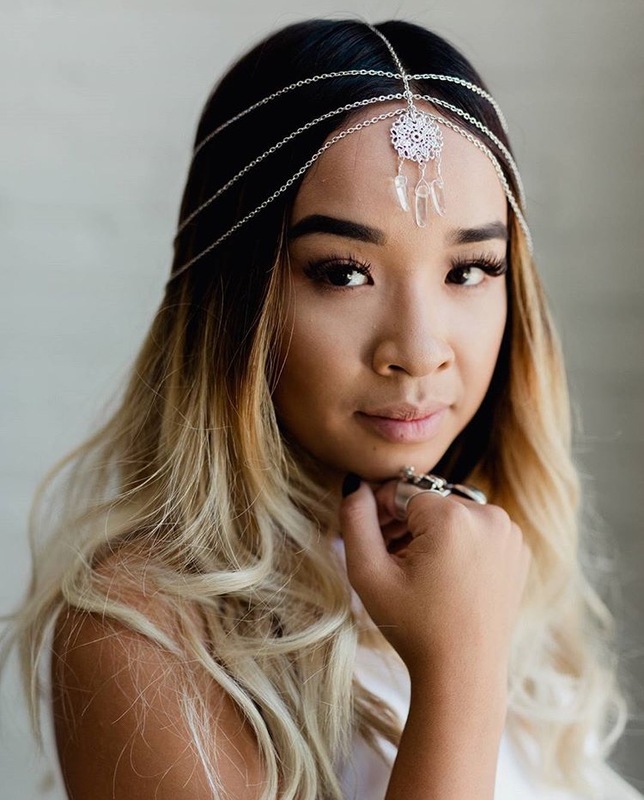 Where are you from/ where are you now and what made you want to pursue designing hair jewelry? I am from Salt Lake City and currently live in Salt Lake City, but I’ve lived a few places in between. I’ve always loved styling, putting all of the pieces together to make a complete picture is so gratifying once you’ve finished. In college I focused on interior design but decided I really wanted to work in a smaller scale, something where I could create a lot of impact. In 2010, as a way of letting some of my creative energy out, I put that design experience to use and started creating headpieces and jewelry. As I began working on projects with the wonderful professional community here in Utah I started pushing myself further and further until one day I realized the area I could best utilize my talents. Weddings! 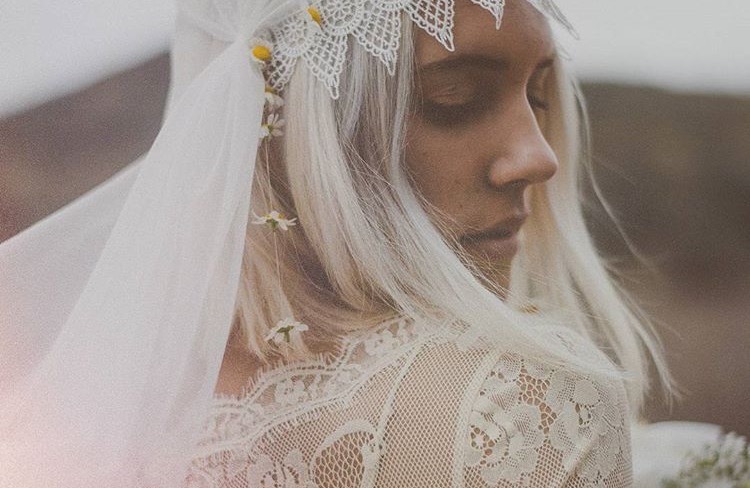 I started defining my voice and aesthetic, and in the beginning of 2014 I released my first complete bridal collection! How would you describe the style of Danani? Unexpected. 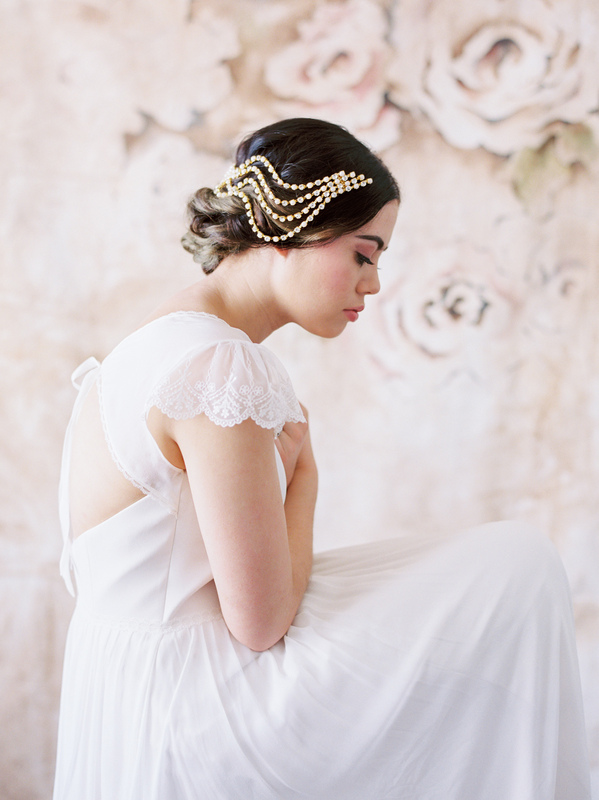 Bridal adornments for the bride who goes her own way. She has uncommon, yet exceptional taste and her style leaves a remarkable impression. She has searched high and low to find the perfectly unique pieces to complement her vision, and her search has ended here. Your pieces are extremely unique, where do you pull inspiration from when designing? My aim is to design subtle statement pieces that focus on intrigue and detail as opposed to over the top embellishment. I am most inspired by materials and techniques, fusing both traditional and non-traditional, and vintage and modern. I always look for uncommon yet beautiful materials and figure out how I can transform them. The more unconventional, the more potential there is to create a different offering from what is already available. What events have your pieces been used for? My pieces were featured in the Kimball Arts Gala fashion show, styled by Vanessa Di Palma Wright. They’ve also been part of many photo shoots around the world! Are you local-only or are you accessible outside of Utah? I ship all over the world through my website dananionline.com. I have clients in tiny countries like Luxembourg and large countries like Italy, Australia, The UK, and France! It’s no secret that we are completely in love with all that Dani has created. 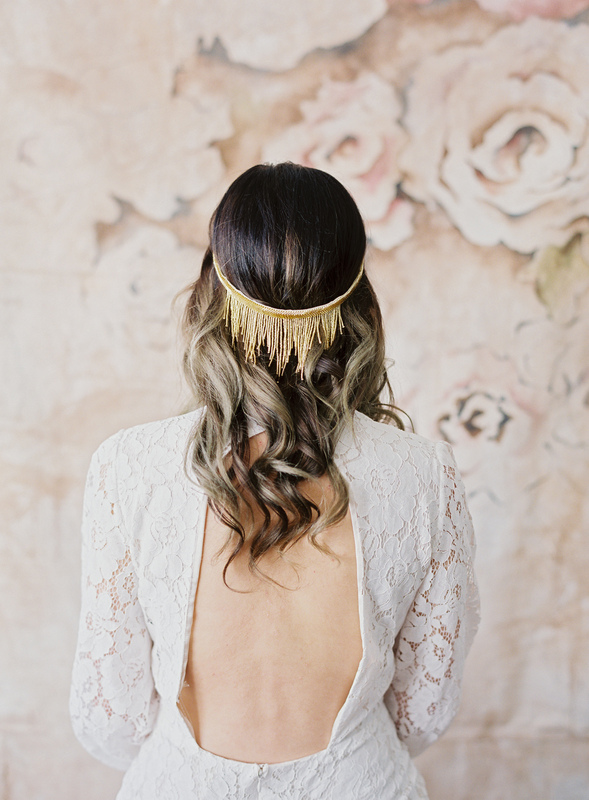 Her out-of-the-box take on a wedding classic is such an inspiration! 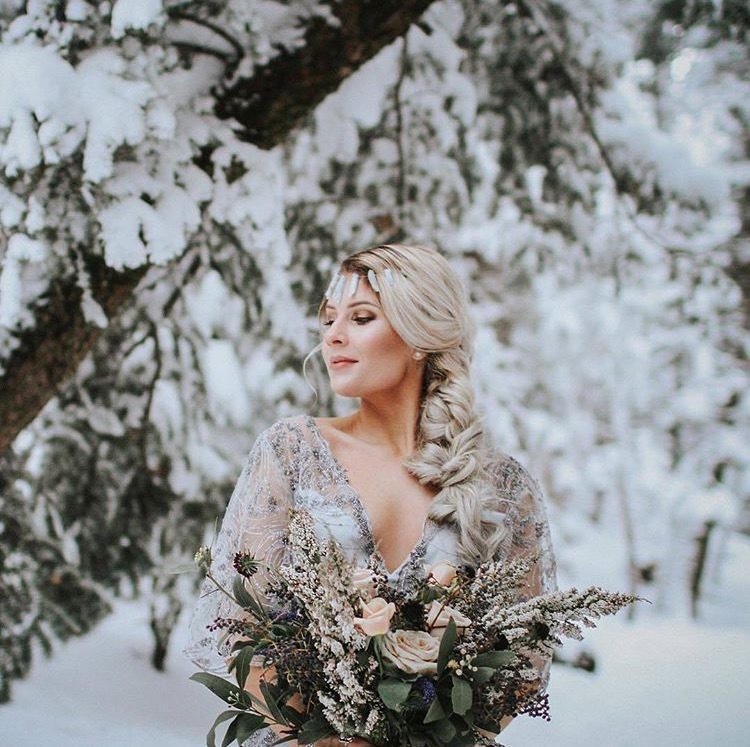 Check out Dani’s stunning designs on her website https://dananionline.com/ or follow her on instagram @dananihandmade.